We find significant tax savings for successful business owners making $400,000 or more per year. Our CPA firm designs tax strategies that help accomplished medical professionals like doctors and dentists increase wealth. We understand the complexities of accounting for the sports industry and possess the experience to efficiently manage your finances and save you money on taxes. We offer proven solutions to minimize tax obligations for individuals and families with high net worth. Give us a call today to schedule a free consultation at 402-486-3777. 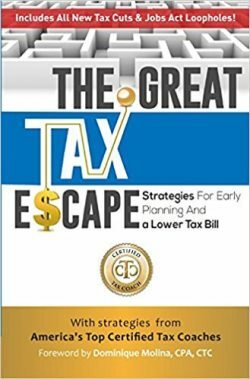 As a thank you for considering us for your tax needs, we'll give you a free book, The Great Tax Escape. Find out how we can reduce your taxes! We'll provide The Great Tax Escape* when you schedule a consultation. *The free book offer is limited to those individuals, families and business owners who fit our target audience. Get monthly tax tips and accounting news from Ewerth & Associates, C.P.A., P.C.! Ewerth & Associates, C.P.A., P.C.